Thomas M. Powers is the founding director of the Center for Science, Ethics, and Public Policy (SEPP) at the University of Delaware. He is Associate Professor in the Department of Philosophy and in the School of Public Policy, and a faculty research fellow of the Delaware Biotechnology Institute. His research concerns ethics and emerging technologies, environmental ethics, and the responsible conduct of scientific research. Over the past 7 years, he has been principal investigator or co-principal investigator on 9 federal and state grants. These grants include NSF-RAISE, an educational program in research ethics for science and engineering graduate students, which is ongoing at UD. 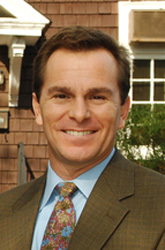 Powers received a Ph.D. in philosophy (University of Texas at Austin), and an undergraduate degree in philosophy (College of William and Mary). He has been a DAAD-Fulbright dissertation-year fellow at the Ludwig-Maximilians-Universität, Munich, and a National Science Foundation postdoctoral fellow in the School of Engineering and Applied Science at the University of Virginia.